Kiwi.com, a leading online travel agency which looks to revolutionise the travel industry through innovative technology, has announced today an investment in the unique project of Czech entrepreneur Michal Illich to make unmanned civilian transport a reality. Kiwi.com, which specializes in connecting people on flights of non-cooperating airlines through the use of multiple modes of transport, sees the pioneering work of Illich’s startup Zuri as vital to offering travellers seamless transport of the future. Last year, Zuri received investment from Pale Fire Capital to help develop passenger transport with vertical take-off and landing (VTOL). 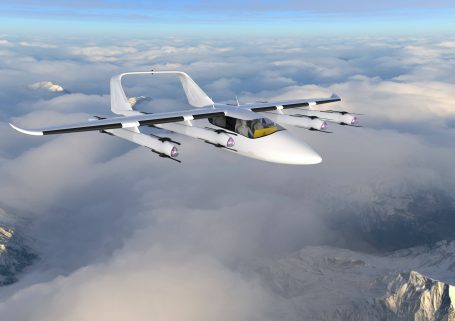 Kiwi.com’s investment will be used for the next developmental phase of producing a functional prototype with a wing span of approximately 11 meters and weighing 900 kilograms, which will then be used to develop the ultimate concept of the aircraft using VTOL technology. “Thanks to this investment we will be able to continue building up the team as well as the development of the large prototype of this unique aircraft. Kiwi.com was the only company we approached for the investment in this phase, because we see huge potential for our cooperation. Kiwi.com has intimate knowledge of the future of travel demand and thanks to its popularity it will also be able to bring new solutions to the market of on-demand transportation, including mid-range VTOL flights,” says Michal Illich, founder and CEO of Zuri, commented on the investment. Last year, Kiwi.com introduced the notion of multimodal transport using both air and land transport as a way to provide passengers with many more options to reach their final destination. Kiwi.com‘s technology enables travellers to visit cities that can’t currently be reached by standard connecting flights. This development provides bookable itineraries with specific times and prices and not just general routing information, giving travellers the ability to find and book the optimum route, from start to finish.